Natural rounds, also sometimes referred to as ‘Cundy Peeled’. We stock natural round peeled Stakes and Strainers in 50-75mm, 75-100mm and 125 – 150mm, in lengths ranging from 1.65m and up to 3.0m. We also stock half round stakes in 100 – 125mm diameter, in 1.65m & 1.8m lengths. 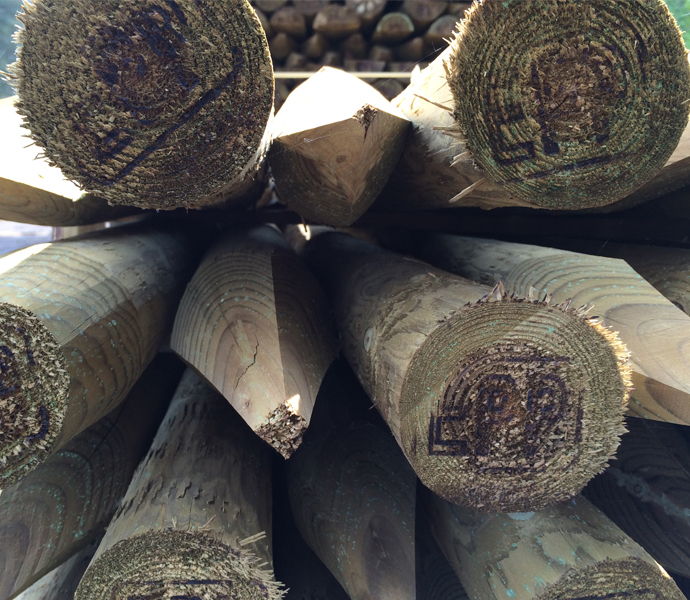 Also stocked natural peeled half round rails 3.6m lengths in 75 – 100mm and 100 – 125mm diameter. Available from stock as Pressure Treated Green and UC4 treated.